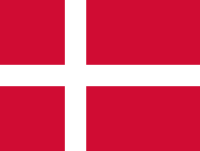 Here you will find your free learning options for the Danish language online. Native to some 6 million speakers mainly in Denmark as well as in Faroe Islands and Southern Schleswig in Germany, Danish is also spoken by people in Argentina, Canada, Brazil and the United States. An intelligible mix of Norwegian and Swedish, this language is characterized by a huge vowel inventory that is easily distinguishable with its "pharyngealized" sounds. Learn Danish online by taking web classes offered for free. The website delivers Danish phrases without making people to get bored. It has simple but attractive way of teaching beginners for such language, instantly. The website seems to have the creativity to educate Danish through digital tools. Note that this site only gives the introduction for that particular language. Furthermore, it is for first timers. An introductory course in Danish with the most prominent phrases and words. A free introduction to Danish but in the end you need to download and pay for the rest of the course. The course can be read in about ten languages!